Network Function Virtualization (NFV) is currently picking up momentum within the wireless ecosystem. Mobile operators can take advantage of NFV as new services are introduced. Evolved Packet Core (EPC), Voice over LTE (VoLTE), IP Multimedia System (IMS) and enhanced messaging services, among others, are examples of opportunities to use virtualized solutions. Big wireless and telecom providers and networking manufacturers, like Cisco, Brocade, IBM, Nex-G Mobility and more have joined together to help and develop a standardized open-source framework for network functions virtualization (NFV). Partners HP and Nokia Networks are now collaborating on a telco cloud solution that aligns with the principles laid out by ETSI. It run Nokia’s Cloud Application on HP Helion OpenStack technology, which includes the vendor’s data center hardware, hypervisor, and virtual infrastructure management, and Manager. The NFV and SDN Openflow push is also attracting both traditional and nontraditional telecom vendors. 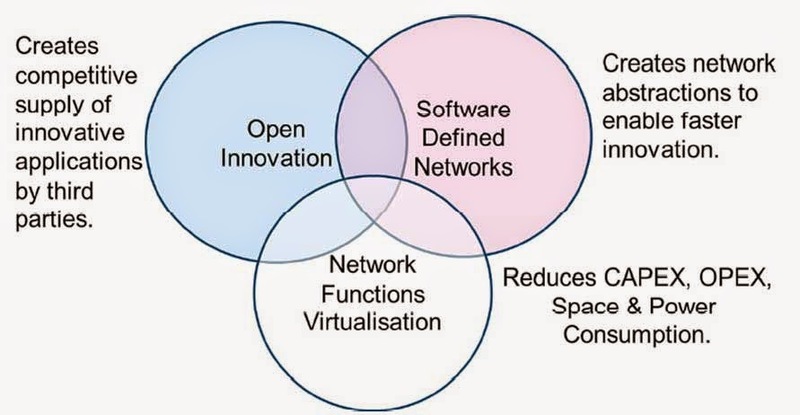 HP announced OpenNFV to help get service providers on board with virtualization. Likewise, Juniper Networks announced a number of offerings that expand on its open, standards-based, SDN (Software defined Network) portfolio, including its Contrail technology. The company claims its new SDN solutions will enable service providers to quickly implement NFV and provision new services. S.S. Bhowmick, Chief Innovation Officer at Nex-G, announced that company is working on a 5G standard with the goal of making it available for deployment in near future. Experts at Nex-G say NFV technology would hit new heights at the 2015 Mobile World. And it's no surprise that these technologies are generating interest as operators look to ease pressures on their margins by reducing their expenses while concurrently accomplishing more with their existing networks. Indeed, both SDN and NFV compatible security solutions are expected to shake up the entire landscape when it comes to growth in the sector Network Virtualization. Enterprises and service providers are upgrading data centers to support huge increases in traffic and handle the massive waves of attacks they face every day. As a result, we envision a growth spike in virtual appliance revenue starting in 2016 due to the deployment of the next generation of network infrastructure using SDN and NFV over the next year and a half.